Core Stability, Strength, Flexibility ... Pilates. My aim is to help my clients become strong, flexible, toned and happy! No matter what age, size or physical limitations or injuries you may have, Pilates can benefit you enormously. Pilates is for everyone interested in improving how they look, feel and move. 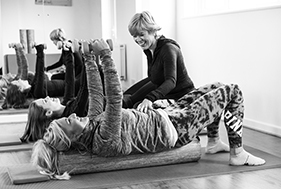 Pilates is an exercise programme designed to strengthen, stretch and restore the body’s natural balance. 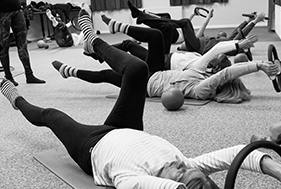 Pilates matwork classes are the perfect option for people who enjoy exercising in a friendly group environment. The first step if you are new to Pilates. A 1:1 session wil teach you the basics and get you ready for a group setting. 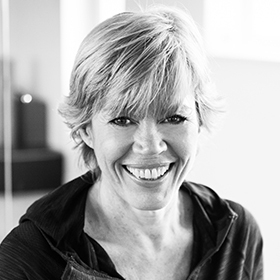 “Jo is a hugely inspiring, confident and talented teacher. Her classes are fun, motivational and very effective. She has the ability to help everyone – whatever their age or level of experience – to feel good about themselves, reach their goals and make a real difference to both their physical and emotional health…..with a smile!